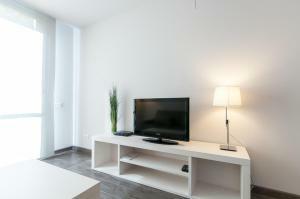 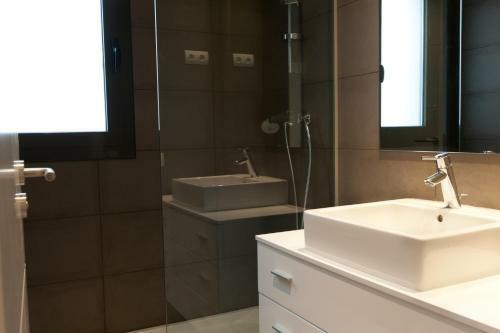 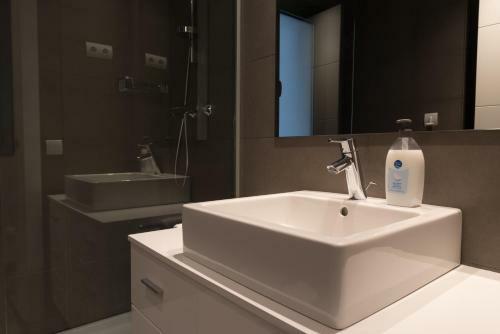 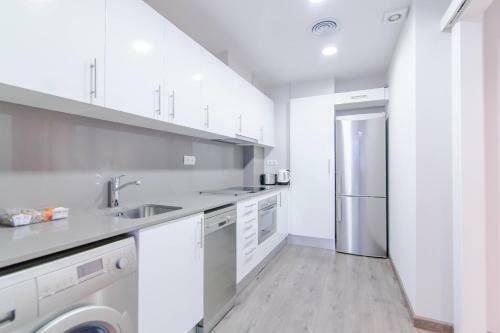 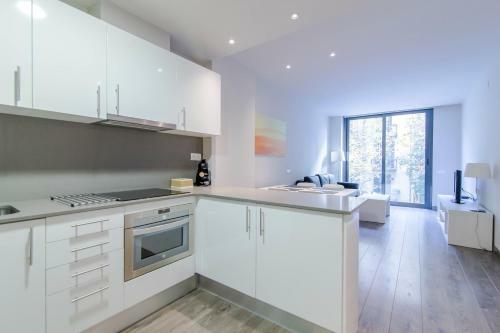 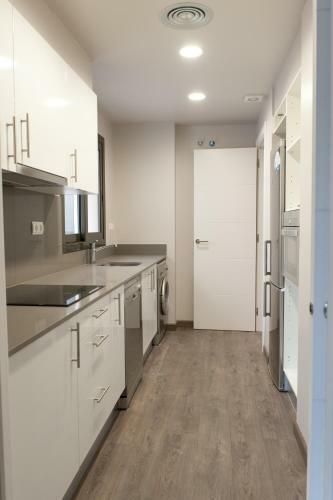 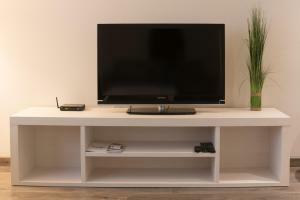 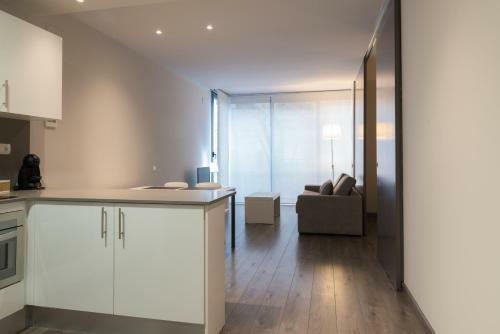 Just 400 metres from Joanic Metro Station, these stylish apartments offer free Wi-Fi, a flat-screen TV and a kitchenette with a washer-dryer, oven and dishwasher. 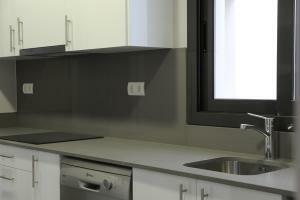 The building features a rooftop sun terrace. 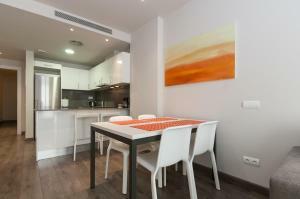 Each bright, air-conditioned apartment has a spacious living-dining area with a sofa bed. 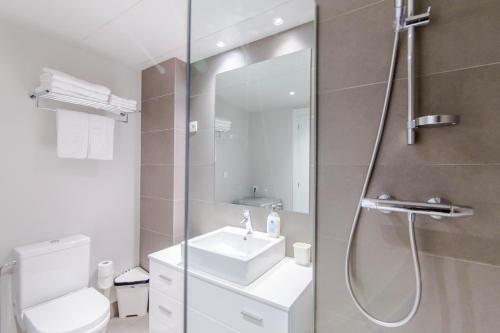 All of them have a modern bathroom with a hairdryer. 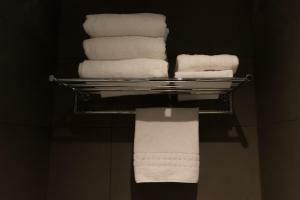 Towels and bed linen are provided. 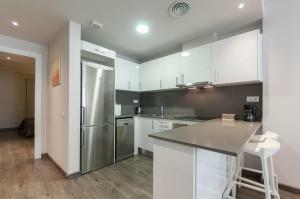 There is a small supermarket directly below the apartments, and L’Abaceria Central food market is just 250 metres away. 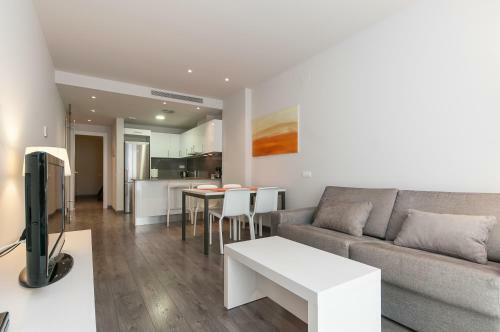 You can find many shops, bars and restaurants within a 5-minute walk. 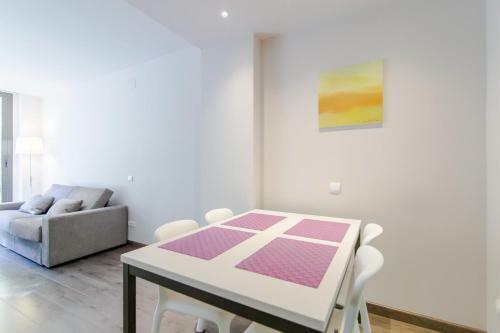 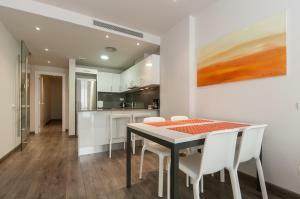 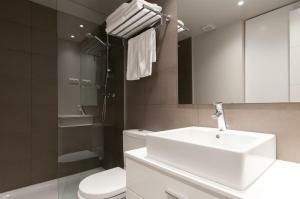 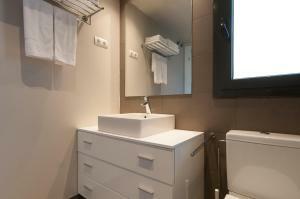 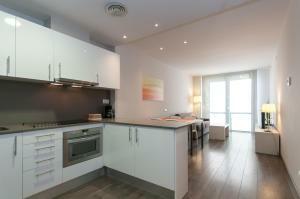 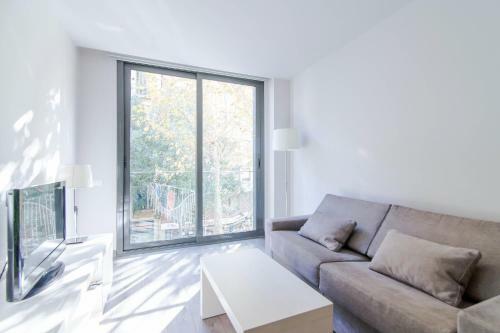 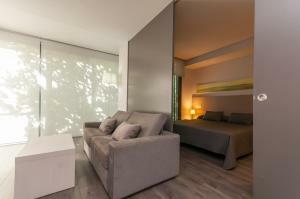 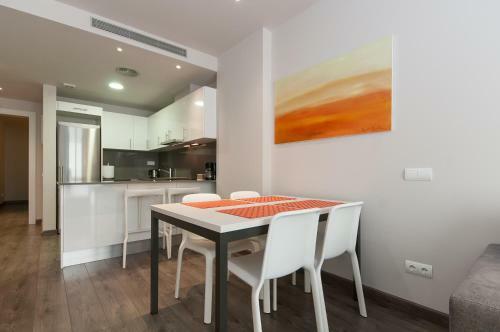 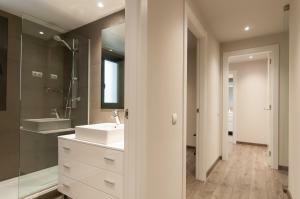 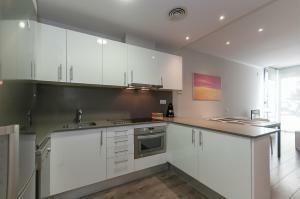 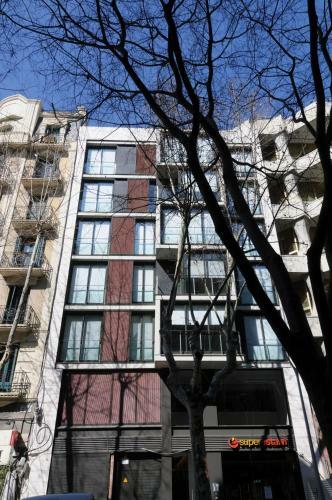 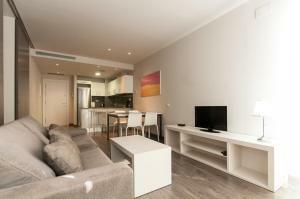 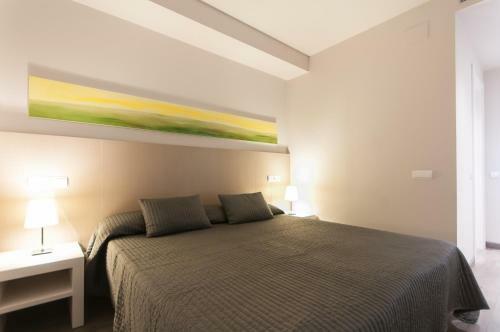 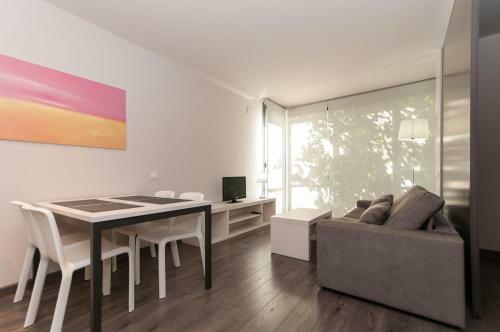 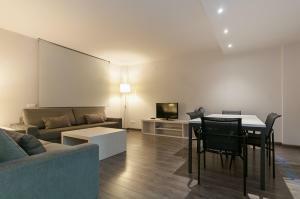 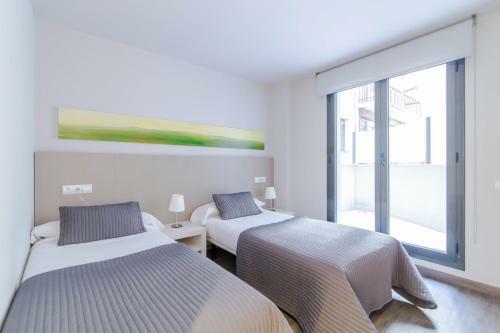 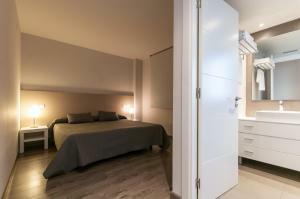 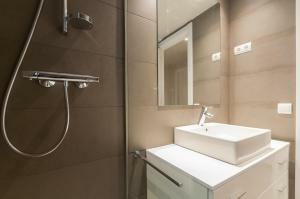 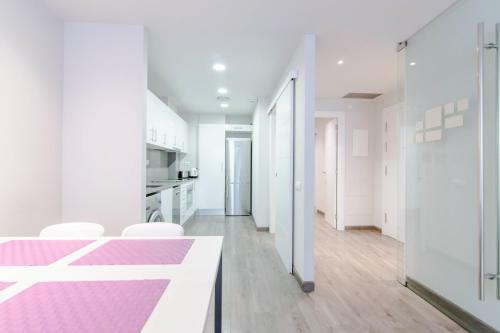 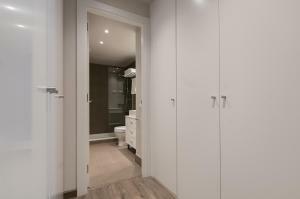 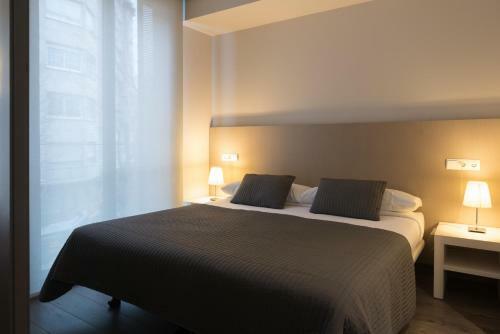 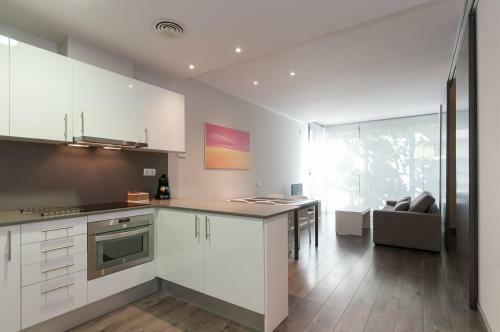 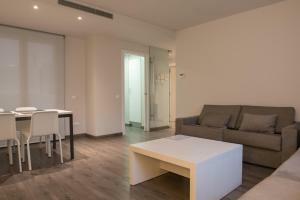 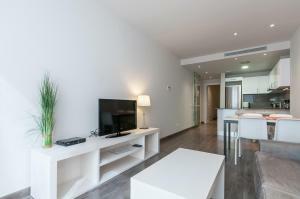 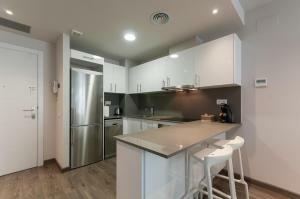 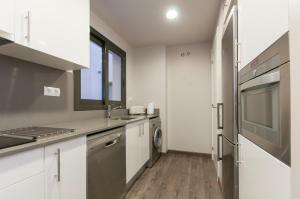 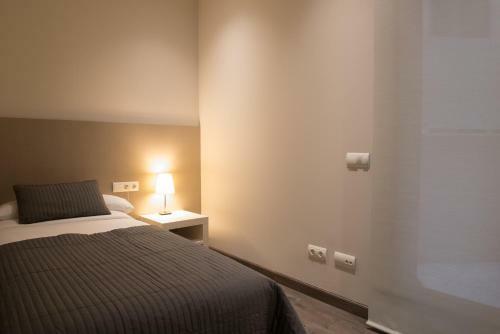 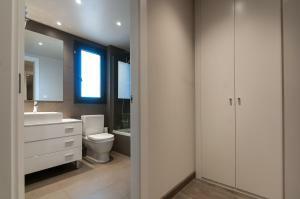 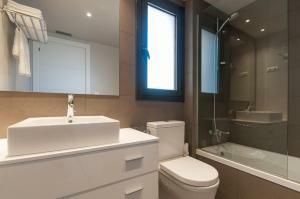 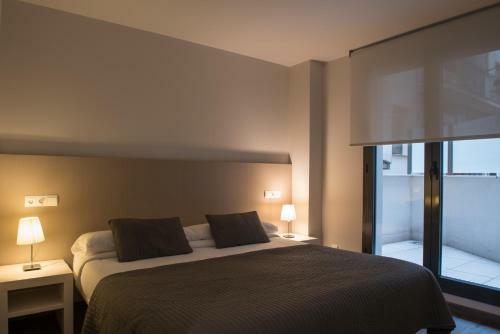 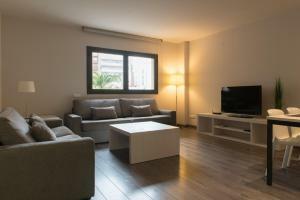 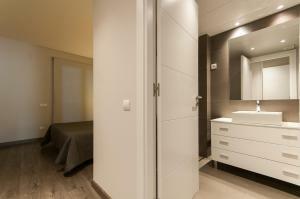 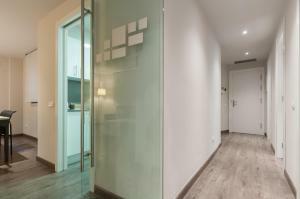 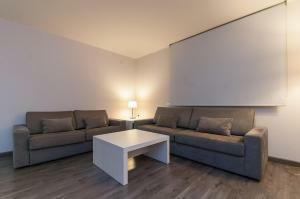 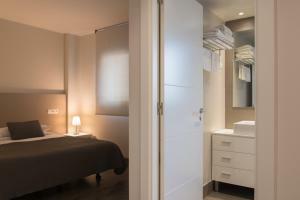 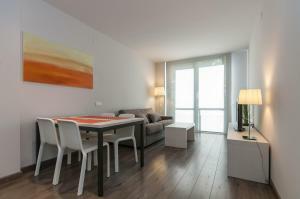 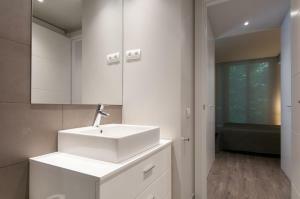 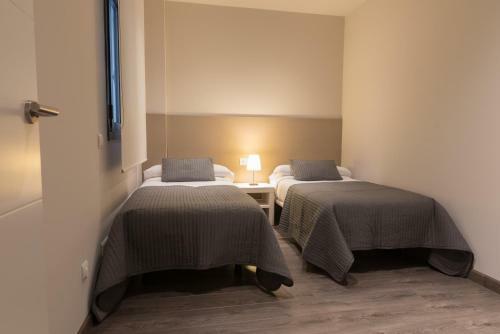 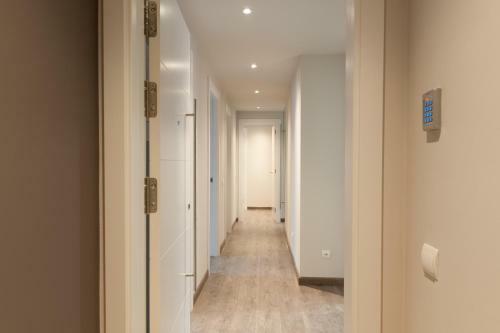 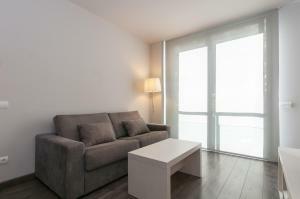 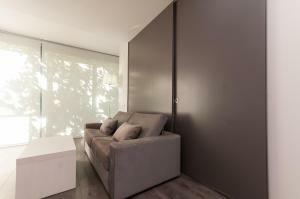 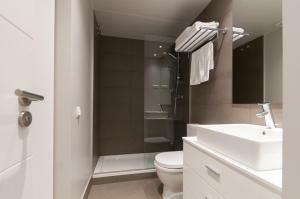 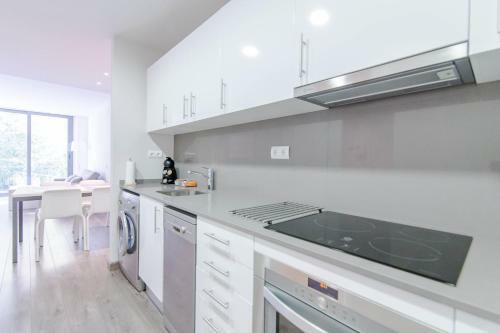 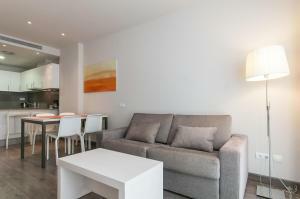 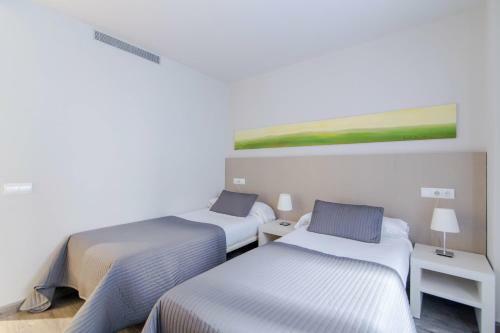 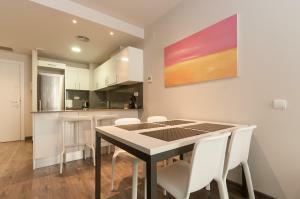 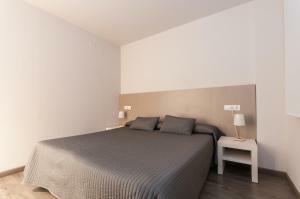 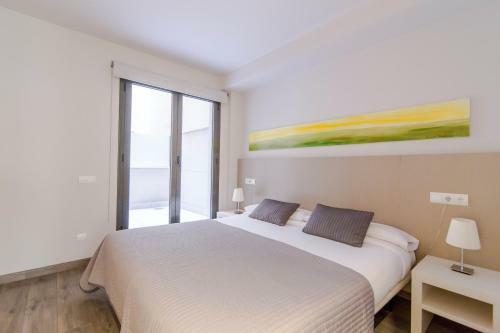 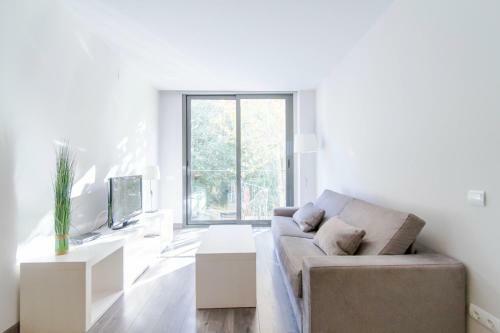 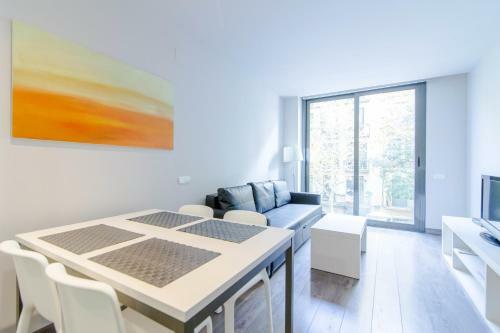 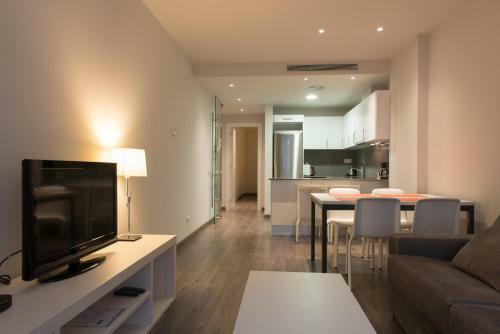 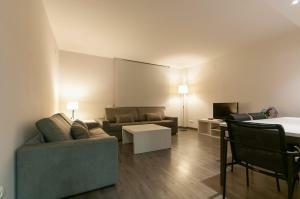 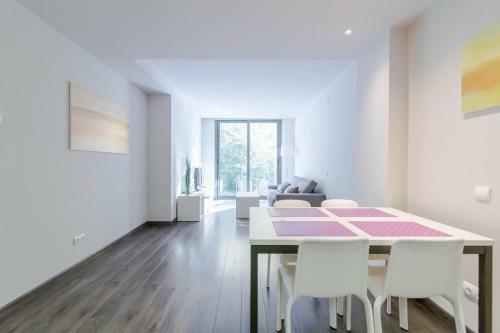 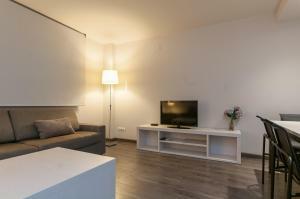 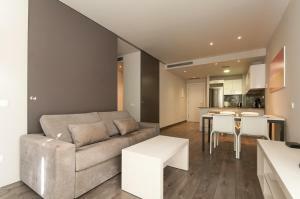 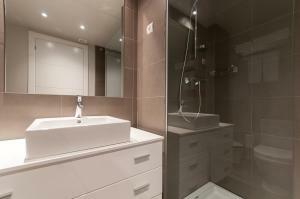 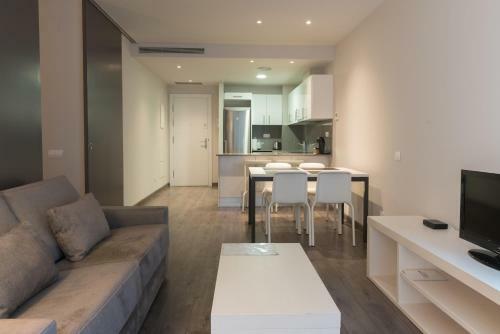 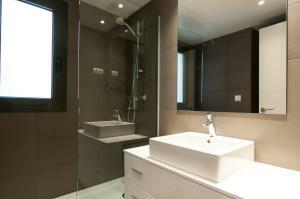 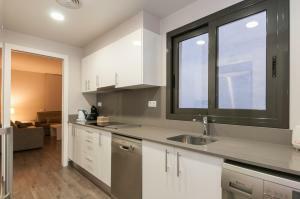 Espais Blaus Apartments are situated in a quiet area of the popular Gràcia district. 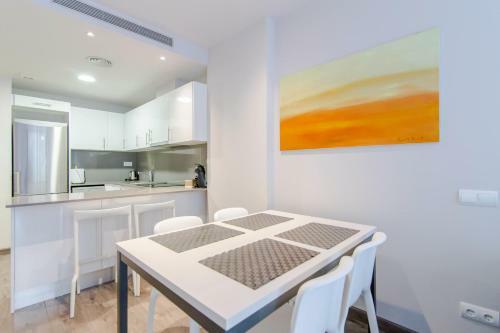 Passeig de Gràcia Boulevard and Gaudi’s La Pedrera are just a 15-minute walk away. 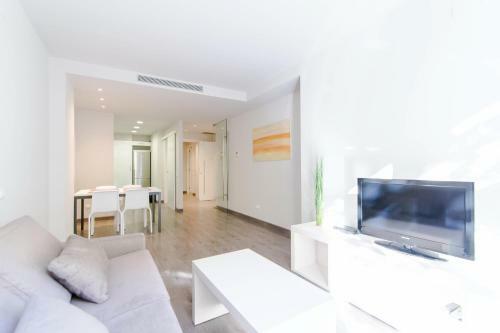 This stylish, air-conditioned apartment offers a 1 bedroom and a spacious living-dining area with a sofa bed and flat-screen TV. 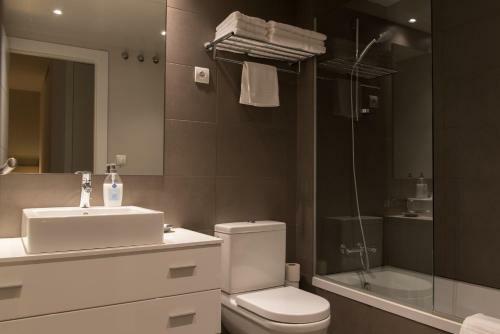 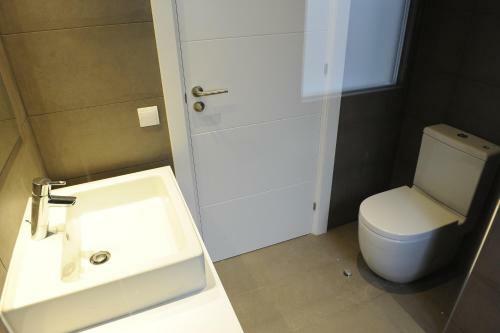 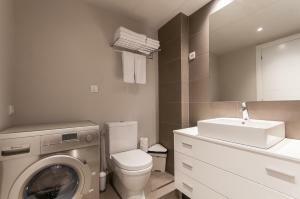 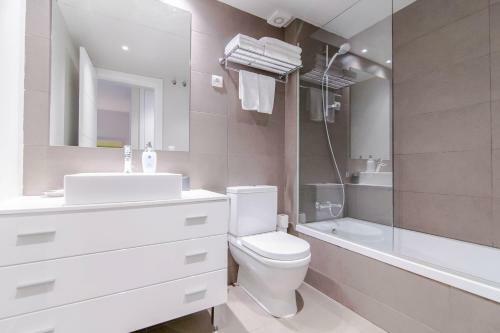 Some apartments have a balcony, and all have a modern bathroom with a hairdryer. 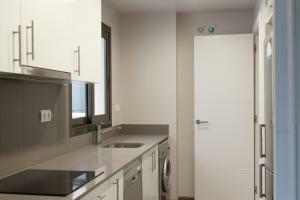 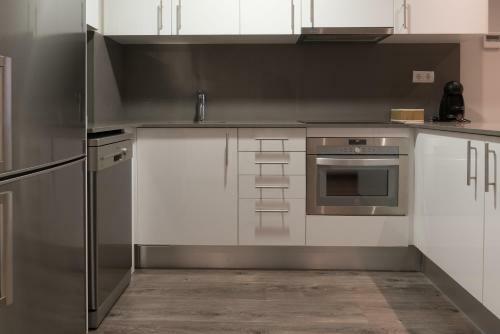 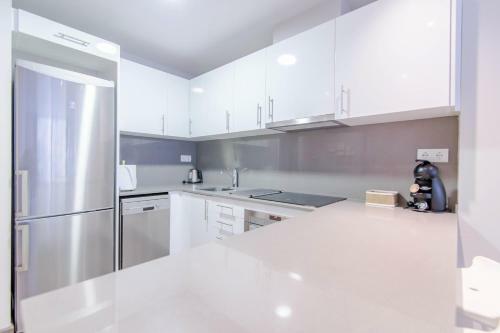 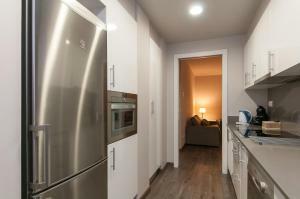 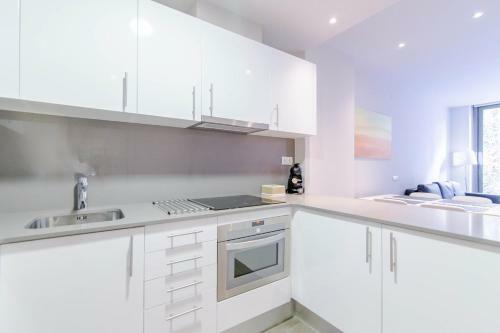 The kitchenette comes with an oven, ceramic hob, microwave and coffee maker, as well as a washer-dryer and dishwasher. Free Wi-Fi is also included. 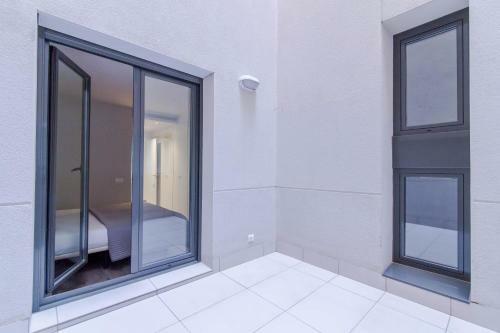 This apartment overlooks an interior courtyard. 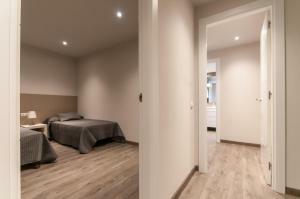 Bed linen is provided, and apartments are cleaned every 5 days. 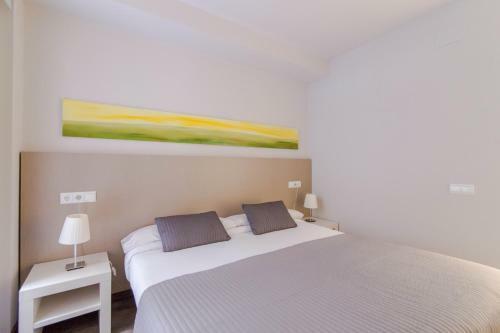 Rate: € 93.00 ... € 188.00; select dates below to get current rates. 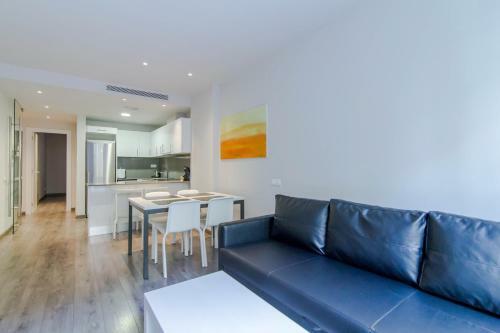 This stylish, air-conditioned apartment offers 3 bedrooms and a spacious living-dining area with a sofa bed and flat-screen TV. 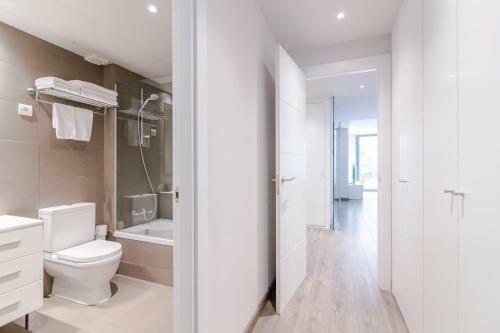 Some apartments have a balcony, and all have a modern bathroom with a hairdryer. 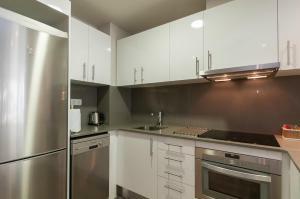 The kitchenette comes with an oven, ceramic hob, microwave and coffee maker, as well as a washer-dryer and dishwasher. 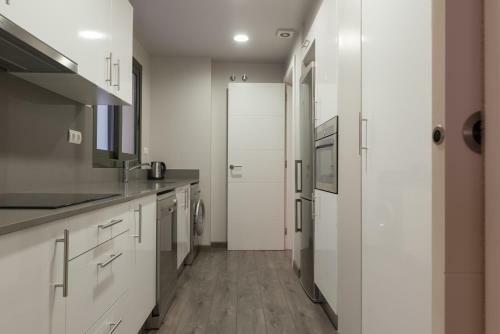 Free Wi-Fi is also included. 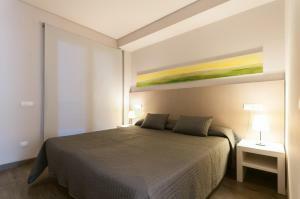 Bed linen is provided, and apartments are cleaned every 5 days. 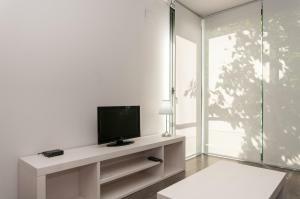 This stylish, air-conditioned studio offers 1 bedroom, a bathroom with hairdryer and a spacious living-dining area with a flat-screen TV. 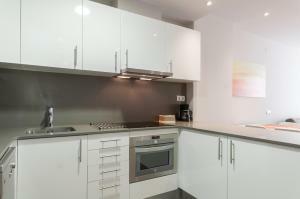 The kitchenette comes with an oven, ceramic hob, microwave and coffee maker, as well as a washer-dryer and dishwasher. 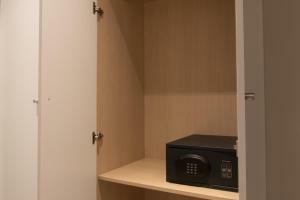 Free Wi-Fi is also included. 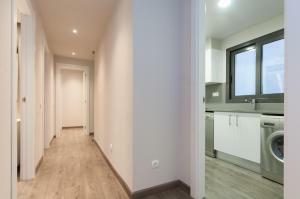 All studios are outward-facing. 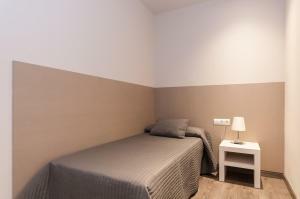 Bed linen is provided, and apartments are cleaned every 5 days.